Students analyze and explain precisely the process of solving an equation. In this module students analyze and explain precisely the process of solving an equation. 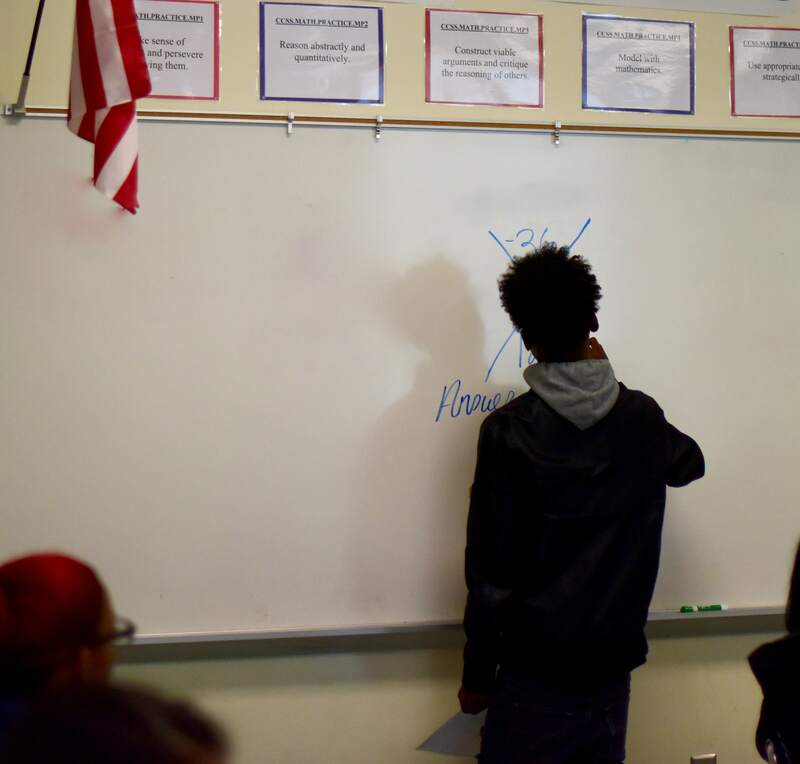 Through repeated reasoning, students develop fluency in writing, interpreting, and translating between various forms of linear equations and inequalities and make conjectures about the form that a linear equation might take in a solution to a problem. They reason abstractly and quantitatively by choosing and interpreting units in the context of creating equations in two variables to represent relationships between quantities. They master the solution of linear equations and apply related solution techniques and the properties of exponents to the creation and solution of simple exponential equations. They learn the terminology specific to polynomials and understand that polynomials form a system analogous to the integers. From EngageNY.org of the New York State Education Department. Algebra I Module 1. Available from engageny.org/resource/algebra-i-module-1; accessed 2015-05-29.